This innovative and versatile celebration of space exploration has erupted into a striking sculptural piece to complement either a home or reception area. This superb creation, which will delight space enthusiasts, can be engraved with a personal enscription to mark your own significant event. Standing 21 inches high, the table is completed by a 25 inch diameter top of polished glass (measuring 1 inch thick), carrying an engraved inscription of Neil Armstrong's famous quotation uttered as he set foot on the moon in July 1969. 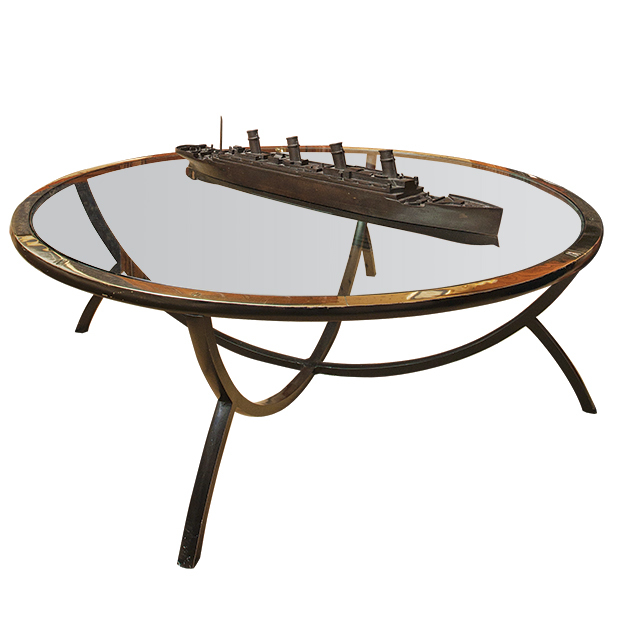 Although originally designed as a coffee table it is possible to commision a dining or boardroom table in this design. 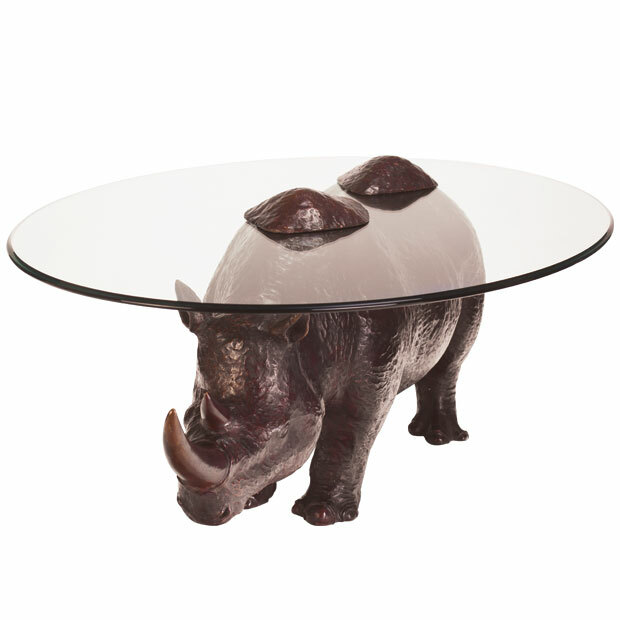 Such a piece would create a strong statement in any company. If desired, the table can also contain a space within the base section which can be adapted easily to form a time capsule, allowing owners to store messages or items for family members to unlock and discover in the future and pass onto future generations. Mark made a special table for Buzz Aldrin, the glass on his particular Apollo table has “Magnificent desolation” inscribed (the first words he spoke when he walked on the moon) rather than the Neil Armstrong quote. 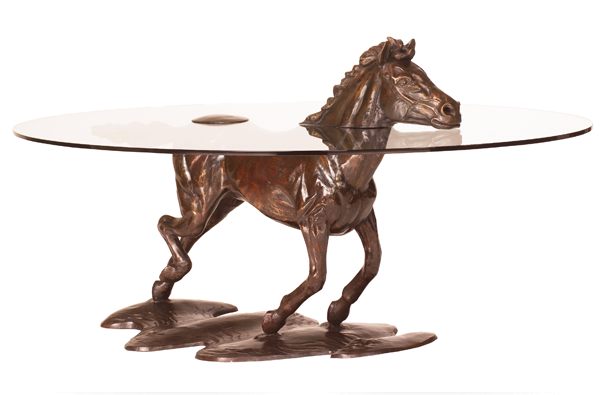 His table has been displayed in the Smithsonian Museum in the past. 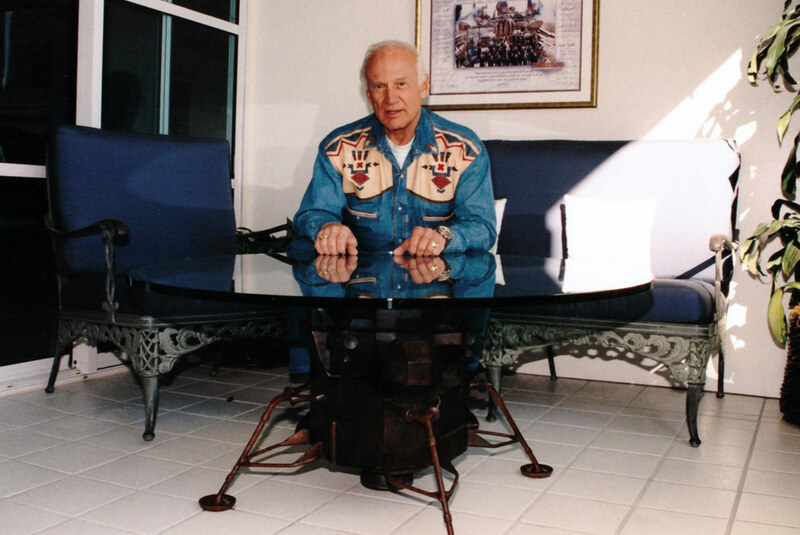 Photo of Buzz Aldrin: This photograph is of Buzz Aldrin in his home in Beverley Hills with his own bespoke table made by Mark Stoddart. 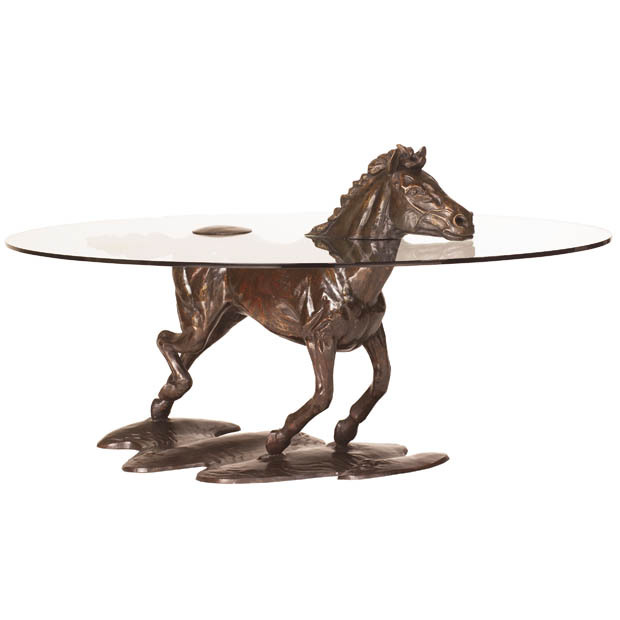 Marks Apollo table made a very special appearance on the 700th episode of The Sky At Night. 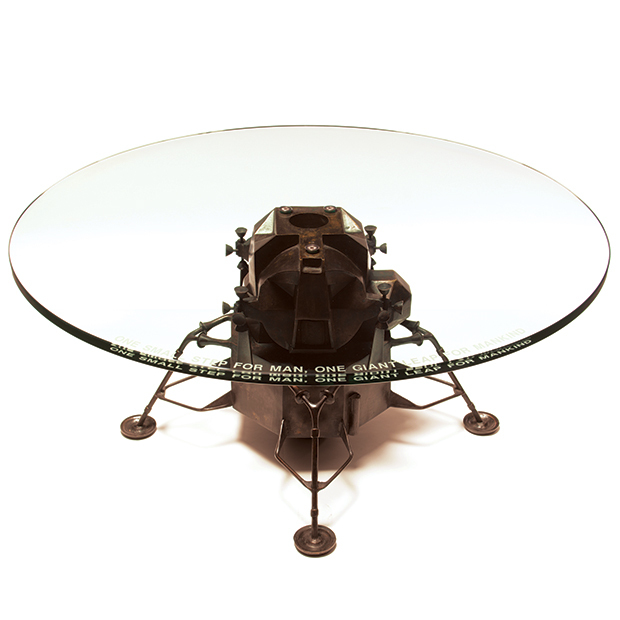 Mark was extremely honoured when the Apollo table was selected as the table that would feature on the programme. 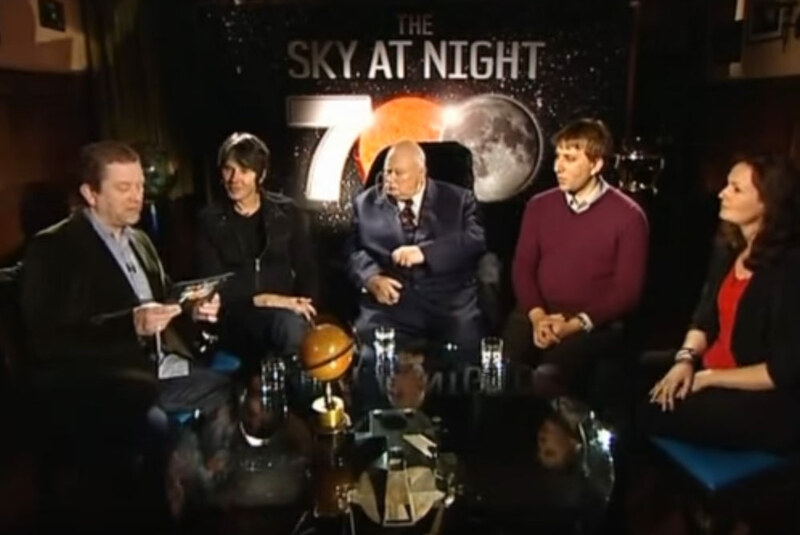 During the broadcast Sir Patrick Moore, Chris Lintott, Jon Culshaw, Brian Cox and Brian May gathered around the table to host the historic episode.